First, make sure you've created a goal inside Koan. At the top of the page, you'll see a tap between Reflections and Feedback called Goals, OKRs, or whatever your team's preferred goal terminology is. Once on this page, try creating a goal. Once you've created your goal, go back to the goal edit screen and try enabling a metric for your goal. Once you do, you'll see a toggle to enable API integration. 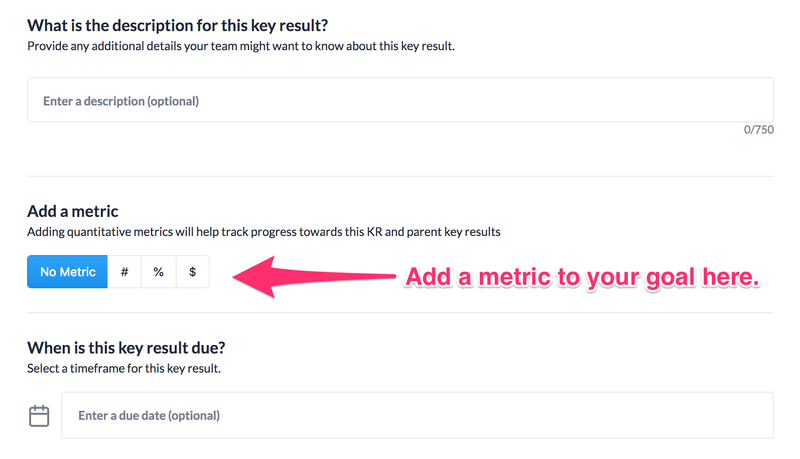 Turning that on will allow your goal's metrics to be updated in real time via the Koan Goal Metrics API. Once you've enabled the integration, you'll see a URL for your goal. Keep this URL safe! This is a unique and secure URL that allows anyone who has it to update your goal's metrics. Once you've enabled API integration for your goal, you're all set to check out our guide on connecting Zapier to Koan or building a custom API integration.